NVIDIA vGPU 8.0 is a MAJOR release with many new software features + support for the new RTX6000 and RTX8000 GPUs, which are NVIDIA flagship for Real Time Raytracing. The great thing is now they have vGPU capabilities, which is a BIG NEWS. I have in this article also included which Public Cloud instance is available with NVIDIA GPUs and which license is BYO or provided by the public cloud provider such as Azure, AWS, GCP. 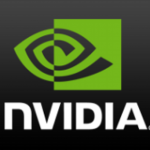 For a list of validated server platforms, refer to NVIDIA GRID Certified Servers. 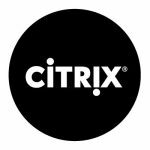 If you are a customer using XenServer 7.2, 7.3, 7.4 its no longer supported with NVIDIA vGPU 7.2 and should plan upgrading to XenServer 7.5 or 7.6. If you are a customer using XenServer 7.2, 7.3, 7.4 its no longer supported with NVIDIA vGPU 7.1 and should plan upgrading to XenServer 7.5 or 7.6.